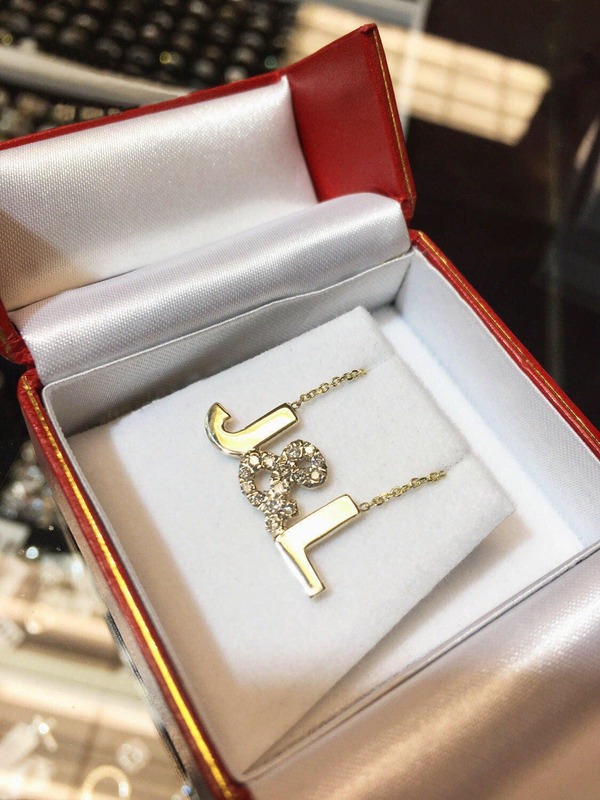 This listing is for one 14 karat gold necklace. 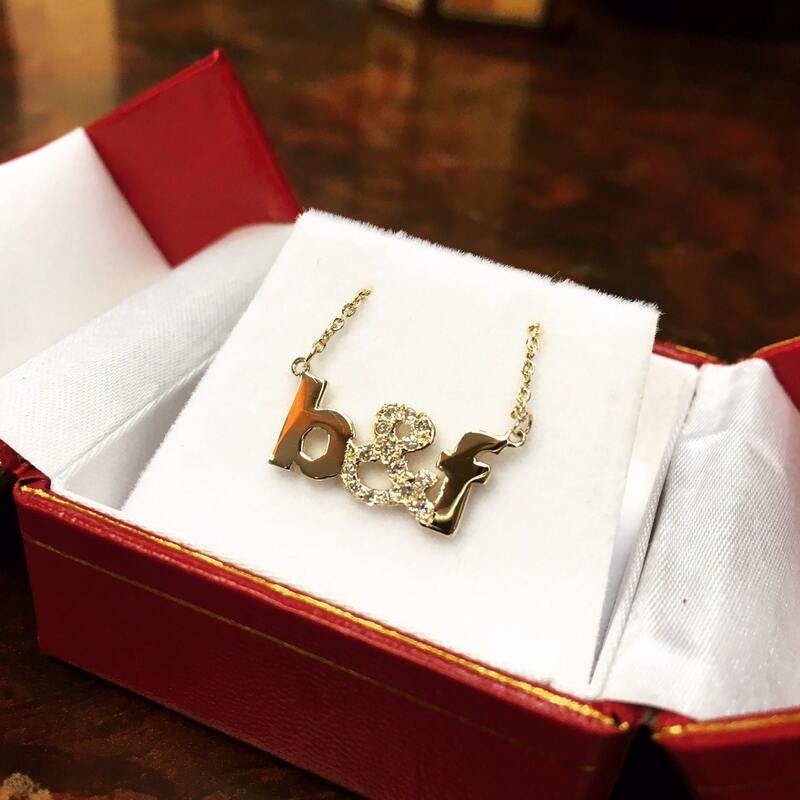 Necklace is hand cut to the initials of your choice and hand-set with top quality diamonds. Necklace is roughly 25mm wide and 15mm top to bottom. Available in 14k white, yellow and rose gold.